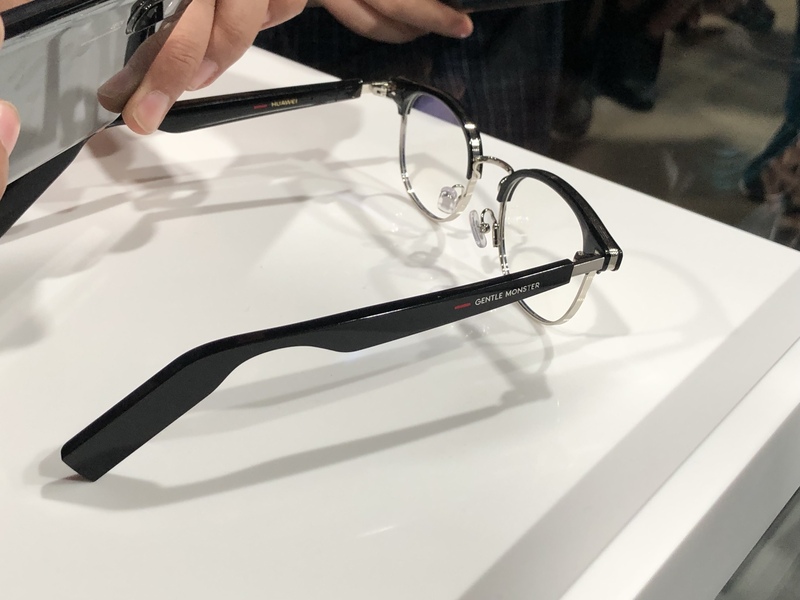 Huawei is launching connected glasses in partnership with Gentle Monster, a Korean sunglasses and optical glasses brand. There won’t be a single model, but a collection of glasses with integrated electronics. Huawei is positioning the glasses as a sort of earbuds replacement, a device that lets you talk on the phone without putting anything in your ears. There’s no button on the device, but you can tap the temple of the glasses to answer a call for instance. The antenna, charging module, dual microphone, chipset, speaker and battery are all integrated in the eyeglass temple. There are two microphones with beam-forming technology to understand what you’re saying even if the device is sitting on your nose. There are stereo speakers positioned right above your ears. The company wants you to hear sound without disturbing your neighbors. Interestingly, there’s no camera on the device. Huawei wants to avoid any privacy debate by skipping the camera altogether. Given that people have no issue with voice assistants and being surrounded by microphones, maybe people won’t be too suspicious. The glasses come in a leather case with USB-C port at the bottom. 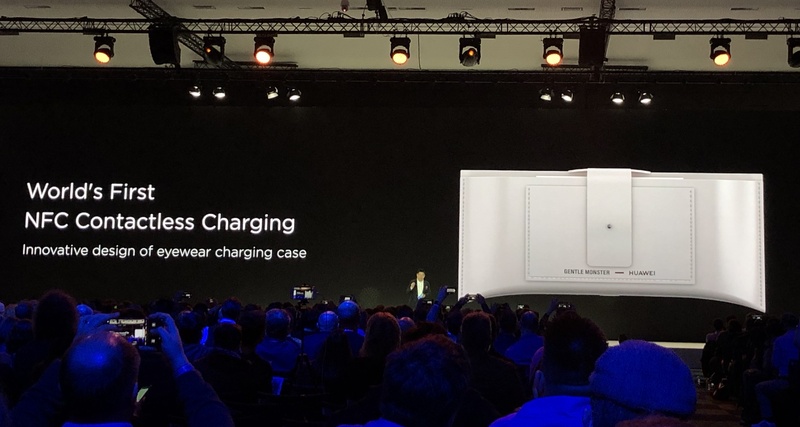 It features wireless charging as well. 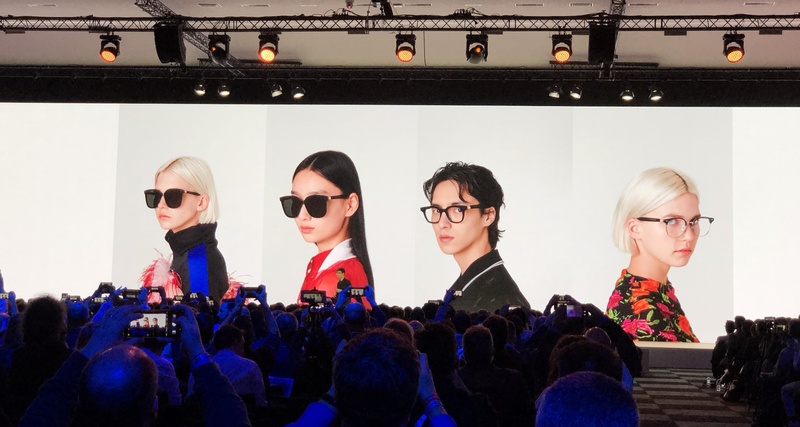 Huawei teased the glasses at the P30 press conference in Paris, but the glasses won’t be available before July 2019.